An Inflection Point in 3D Printing? 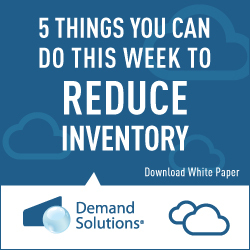 Which sector - retailers, wholesalers, or manufacturers - has the highest "inventory to sales ratio," calculated as inventory levels divided by one month of sales? As we ease into a big Thanksgiving holiday here in the US next week, I am going to take the easy way out and let readers do the talking this week, as I have often done in the past. Last week, I wrote a column I called "The Trump Supply Chain? ", which was meant to do two things: (1) explain a bit why Trump was able to prevail through most of the Midwest, from my view as a near lifetime Ohio resident; and (2) offer my thoughts on what the impact is likely to be on the supply chain from a Trump administration. That generated more than 20 reader emails, many of them of the short and sweet variety, most saying "great job" and others – confusing prediction for endorsement – not so complimentary. Can such smart coordination really take place across multiple levels of government and business? I wish I could be as optimistic. But majority of the emails were great, several providing very detailed responses. Below is a summary of some of the best. Reader Bob McIntyre of DBK Concepts grew up in Michigan as son of a Chrysler engineer, and hangs his shingle now in Dayton, OH near me. He sent a fascinating letter chronicling what he has seen selling a variety of products in the region over several decades. He recalled, for example, a plant of auto parts maker Takata that once existed north of Dayton. "In the 1980s, I was doing a small project with them. I was there on a Wednesday, and told the plant manager that I'd be back Friday with demo equipment to show them. He said that would be great," McIntyre wrote. "When I got there Friday morning, the plant had been closed, and all of the production had been moved to Mexico. The plant manager hadn't even known it was going to happen." Mirroring the views of many, he opined that "Over the last thirty years, companies have based all of their decisions on increasing shareholder value. As the global market grows, companies expand overseas for a variety of reasons: cheap labor; lax, or nonexistent safety and environmental regulation; ability to sell in the countries they manufacturer without import tariffs; and close proximity to a population of billions with a growing middle class demand." These are many of the issues for sure. What can be done, if anything? Not clear. Jon Kirkegaard of DCRA has some real ideas on this very question, however. 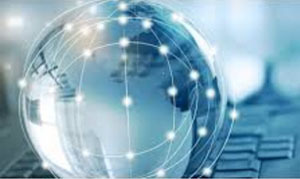 "Supply chain design and strategy should be used to enable business and government policy goals. As one who has volunteered significant time to use supply chain and advanced manufacturing to promote US jobs, I have witnessed the dysfunction," Kirkegaard wrote, noting that he has donated nearly three years of time to Texas Governor's office to develop an Industry Cluster initiative. He says that while the program raised nearly a half billion dollars to fund Texas businesses that would use supply chain strategy and advanced manufacturing to promote jobs, "Last I checked they were mostly funding businesses largely importing goods or some politicians friends supposed cure for cancer." (1) Promote Postponed Manufacturing in US: Government policy should support and help US companies create a postponed manufacturing - or what Kirkegaard calls an "assembly coordination" - product supply chain. He says postponement can greatly reduce shipping costs, protect intellectual capital, and dramatically reduce working capital as the components can be used to make 1000's of times more product variety then just a single SKU wrapped in Styrofoam, stuffed in a shipping container essentially half full of air. "I have done this analysis for hundreds of US products and have rarely found that the costs are not less for a finished good when you consider customer choice, total supply chain holding and transport costs, and in particular when you consider IP protection and balance sheet losses from IP theft," Kirkegaard wrote. (2) Incent/Promote/Develop Manufacturing in the Inner City: "Why not use our human resources in the inner city to be involved in the initiative described above (assembly) or in pure manufacturing?" Kirkegaard asks. While there are many challenges, "the benefit and rewards could be staggering." He adds that "Having created two business' that use this model I can safely say personnel is a challenge but maybe with the right top down perspective, cheer leading, support it can improve." 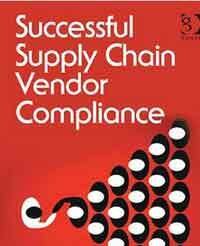 (3) Green "Supply Chain Coordination": What does that mean? "The amount of resources saved, energy saved, unused product eliminated by even tiny percentage increases in coordination is insanely larger then all the "green" initiatives ever proposed." Kirkegaard wrote. "In essence the first initiative above - assembly coordination/postponed manufacturing - is just a tiny physical example of a larger scale effort to coordinate global supply chain coordination." Patrick Lemoine of e2Open said that what has transpired in recent decades is largely simply a response to consumer demand. "I remember a chart of the US trade deficit with China, where the share of the deficit due to Walmart alone was clearly visible (somewhere in the single digit %)," Lemoine wrote. "Consumers need to understand that the factories have left the US because consumers want to buy T-shirts for $9 and DVD players for $39." Tony Madison wrote that "I believe there will be some changes but they will need to be regulatory, with some amount of flexible controls written into the rules. This being said, a balance should have been used with the movement of manufacturing on the way out of the US." He added that "I am sure HR supply chain analysis would have allowed for the balance to consider the downsizing of industries desired by government, which would have allowed the country to develop and train the next generation for the industry shift. Of course this requires that industry and government work together." Shelley Jordan of Synergy Solutions Group wrote that "As an inventor, I have experienced the Chinese trade "cheating" personally. Also, I have seen the major changes in the last few years in USPTO laws that make it extremely difficult for innovation in America. This is not what America is about. Other countries do not try to keep minds from moving forward and producing products." He agrees with me that whatever Trump or anyone does, manufacturers are not going to return to the US in droves. However, he said that "If the business got a tax break if they agreed to go into an area that needs the business, even if the area is high poverty and high crime, then that could make a big difference. Also, if a similar type of manufacturing (similar process or product) went to the same city or area, they could also get the tax break, and then supply chain collaboration could take effect." He ended optimistically, writing that "So overall, I think that plants will be revived in USA because great things will happen, but it is dependent on wise decisions based in my opinion on what has changed over the past 30 years. Also, it is based on cooperation (not separation) and communication to make these decisions. I believe once the plants and jobs start reviving they will grow faster each year exponentially." Jerry Saltzman of Pfizer thinks too many are making this situation out to be worse than it really is. "Let's keep this simple," he wrote. "Unemployment is at 4.9%. The overall US trade deficit has been largely stable since 2008. Coal is noncompetitive to gas, which currently is plentiful," adding that "For the first time in at least a decade, there is a small decrease in income inequality. (Not so meaningful until one considers if tires made in the US that are more expensive, someone will need to be able to buy them.)" He concludes "Advancement and innovation in supply chain principles made globalization a reality. So why do we want to return to high tariff and protectionism? Those Cuban cars are pretty special, I suppose." All good points, and I will repeat from last week that I have been largely a free trader throughout my life. But the status quo won't do anything to fix our broken communities, and also as I said last week, a nearly $400 billion annual trade deficit in goods with China can't be a good thing, can it? There were quite a few more emails, but I am out of space. Look for the full text Feedback in this newsletter over coming weeks. What do you think will be the biggest impacts on supply chains from a Trump presidency (please keep non-political)? Can he really help revitalize US manufacturing - or is it a lost cause? Any reaction to this reader feedback? Let us know your thoughts at the Feedback button below. Q: Which sector - retailers, wholesalers, or manufacturers - has the highest "inventory to sales ratio," calculated as inventory levels divided by one month of sales? A: Retailers by far, with a ITS ratio of 1.54 in September. Manufacturing and wholesalers usually have about the same ITS, 1.30 and 1.29 respectively last month, according to the Commerce Department.